A loan of $1,225 helped to purchase a fertilizer spreader for her tractor. Ketevan is 42 years old. She lives in the Akhmeta district of East Georgia with her husband, son, daughter and father, who is provided with a retirement pension. On several occasions Ketevan has requested a loan from local financial institutions for an agricultural business start-up, but without any success. Her loan requests were always rejected because lack of experience in the business, which is usually demanded by local credit providers. All the family members work hard to improve their living conditions. Ketevan is a worker at the local wine factory and gets a small monthly salary. The family has a plot of land where they grow maize. The crops they harvest are sold locally. Ketevan also has a milk cow, whose milk is used in dairy products. In addition, family members harvest grapes on the family-owned vineyard and produce wine for selling. 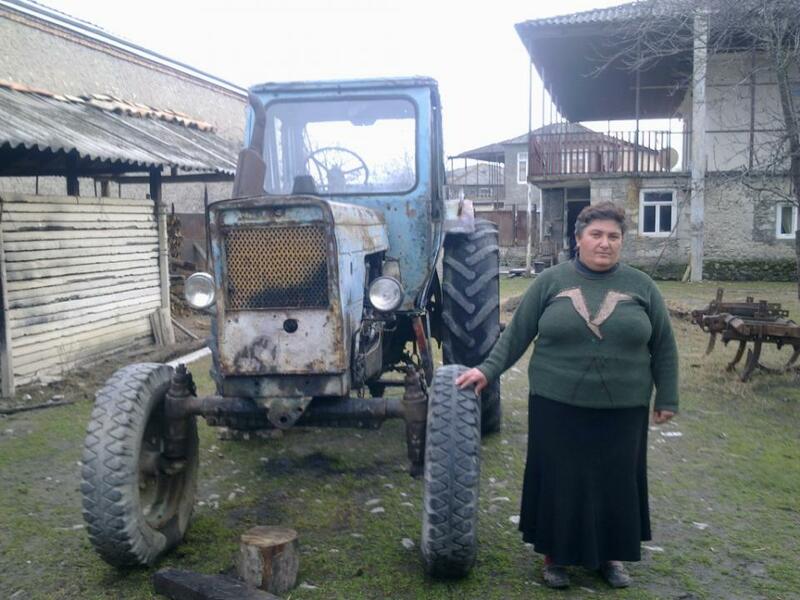 Ketevan’s husband has a tractor and performs agricultural work on the lands of nearby farmers during tilling season. Ketevan is now requesting a loan for her agricultural business. The loan program provides businesses with start-up funding to assist the country's rural poor, who do not have access to most credit products as they are regarded as “high risk borrowers” because of their low income. With the loan proceeds, Ketevan would like to purchase a fertilizer spreader. They will install it on the tractor and Ketevan’s husband will be able to serve the local people during fertilizing season as well. He will offer the services to landlords from his village and hopes that the project will be profitable as there is not a tractor with the same equipment in their village. The farmers will pay a service fee and this will significantly increase their family's income and will enable Ketevan to provide better living conditions for her family. This loan is part of Credo's startup loan program targeting particularly vulnerable clients who live at the subsistence level and have been unable to obtain credit due to lack of income from an existing business. This program offers them a longer repayment term and an annual interest rate that is 5% lower than the standard interest rate. By funding this loan, you are supporting a program that gives borrowers a second chance to start and grow small businesses. This has the potential to alleviate the effects of poverty, significantly improving borrowers' incomes and their families' quality of life. Learn more about Credo's startup loan program on the Kiva Blog. JSC Credo Bank (Credo) is a microfinance organization in Georgia that provides sustainable credit services to alleviate poverty in rural areas, including business loans, agriculture loans, household loans, crop insurance and more. Kiva lenders? funds are used to help the organization expand its outreach to even more entrepreneurs, farmers and households in remote areas. Like Kiva, Credo aims to alleviate poverty by providing financial services tailored to clients’ needs, particularly in rural areas. Credo’s vision is to enable the poor to increase household incomes and reduce their vulnerability, helping them to build meaningful, sustainable and self-determined livelihoods. Kiva is excited to help Credo grow and reach out to the most vulnerable populations in Georgia.